San Francisco, California—February 01, 2012 — Award-winning American plus-size designer brand IGIGI by Yuliya Raquel, www.igigi.com, has launched The Art of Fashion in Motion campaign, a trailblazer montage of color, movement, and art inspired by the great revolutionary abstract expressionists like Mark Rothko, Jackson Pollock, and Lee Krasner. The Art of Fashion in Motion is a strong visual extension of the company’s more-than-a-decade long mission to transform the world’s view of beauty. The Art of Fashion in Motion is to the plus-size fashion world what the contribution of these revolutionaries has been to the art world; a groundbreaking, exciting and out-of-this-world approach to the way we perceive plus-size women and fashion. In a visual feast that tells the story of wearable art designs, plus-size model Kailee O’Sullivan appears as a woman of multiples facades. She is a canvas of seductively moving curves where fashion and art merge as one to create a truly eye-opening campaign for an industry that is still believed to be stuck in the time of the muumuus. 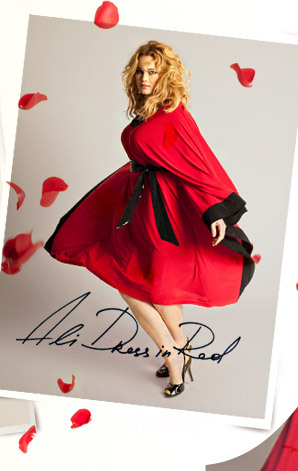 The Art of Fashion in Motion campaign also features IGIGI by Yuliya Raquel’s new Valentine’s Day Collection of flowy, waist accentuating dresses and separates draped in signature IGIGI by Yuliya Raquel style and embellished with trendy sequins, lace and color blocks available now at www.igigi.com. Prices range from $90 to $180. “I have always been inspired by the abstract expressionistic work and the way these artists made a change and influenced the world. My intent is to create wearable art designs that are timeless yet very modern. They inspire the wearer to express herself with confidence and empower her to communicate her uniqueness, beauty and intelligence regardless of her size. We women have multitudes of ways of expressing ourselves. The play with the idea of different looks for just one woman in the campaign is to remind the world that who we are is not defined by our current physical attributes but by who we choose to express ourselves onto the world as,” said Yuliya Raquel, Founder, Designer and Creative Director.